Tankerska Plovidba has taken delivery of their new vessel, aframax tanker m/t Frankopan. 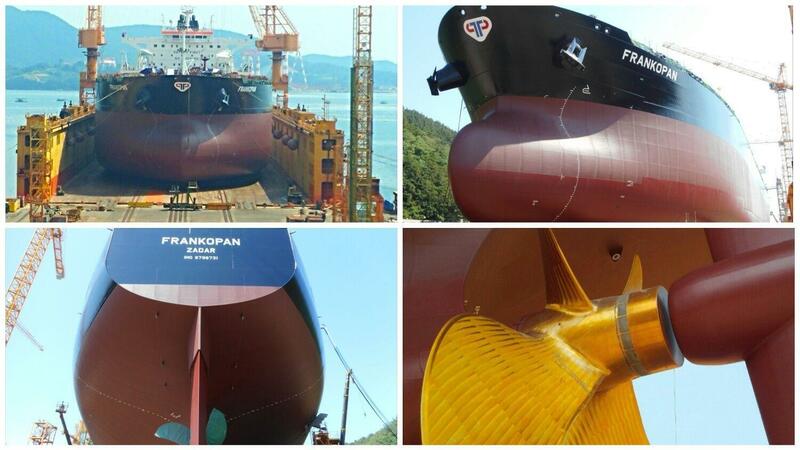 Tanker of 114,305 DWT was built by Sungdong SB shipyard and is the first ship in series of two. Its sister vessel, m/t Rava is scheduled for delivery in October 2017. Socius was in charge for building the PMS databases for both ships, which was successfully finished and implemented into ship’s Planned Maintenance System. This entry was posted in Clients, PMS database. Bookmark the permalink.